Did you know Hummingbirds weigh less than a penny? Did you know a Bald Eagle can kill a young deer and fly away with it? Those two divergent facts summarize why the study of birds is so fascinating. With our Bird Wheel Activity Kit participants get to create their own Bird Wheel! Simply cut out, glue on and label the 12 beautiful birds that we have included on each full color card. 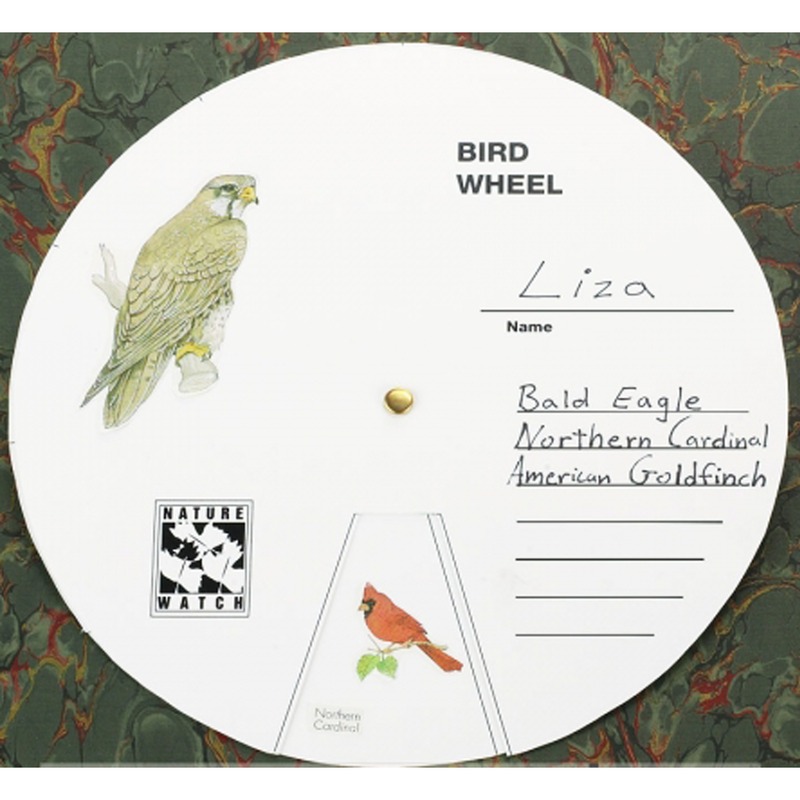 The kids will be excited to identify birds using the bird wheels that they made themselves! Discover the wide variety of birds – they come in all shapes, sizes and colors! Compare and contrast the features of birds that are common to all birds with those that are unique to some. 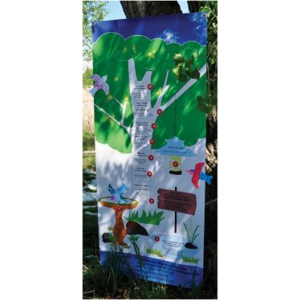 Play games and participate in activities using the bird wheel that will develop memory and reinforce learning. Blank bird wheels, a full-color labeled sheet featuring 12 beautiful birds (Barn Owl, American Robin, Northern Cardinal, Blue Jay, American Goldfinch, Peregrine Falcon, Canary-Winged Parakeet, Ruby-Throated Hummingbird, Meadowlark, Red-Headed Woodpecker, Brown Pelican and Bald Eagle), plus brass fasteners for each participant to complete his or her own Bird Wheel. 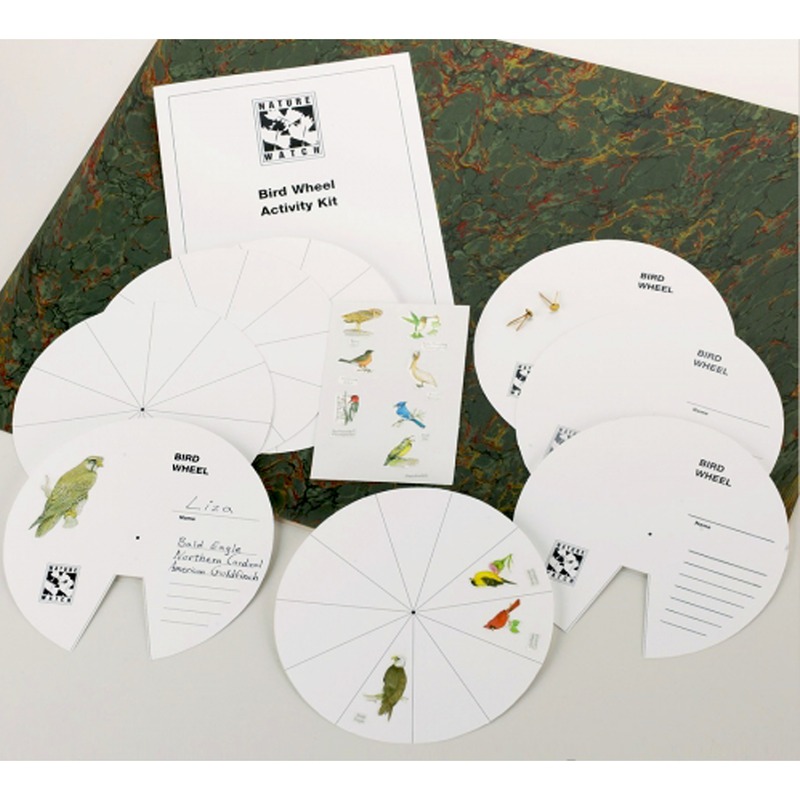 Our exclusive instructor’s activity guide, which provides everything instructors need to teach about birds: loads of facts, ideas for additional activities, a reproducible activity sheet, a word search puzzle and more. The only materials you supply are scissors, pencils and glue.